Summer is almost here and I wanted to share with you one of my favorite Vegan Popsicle Recipes. 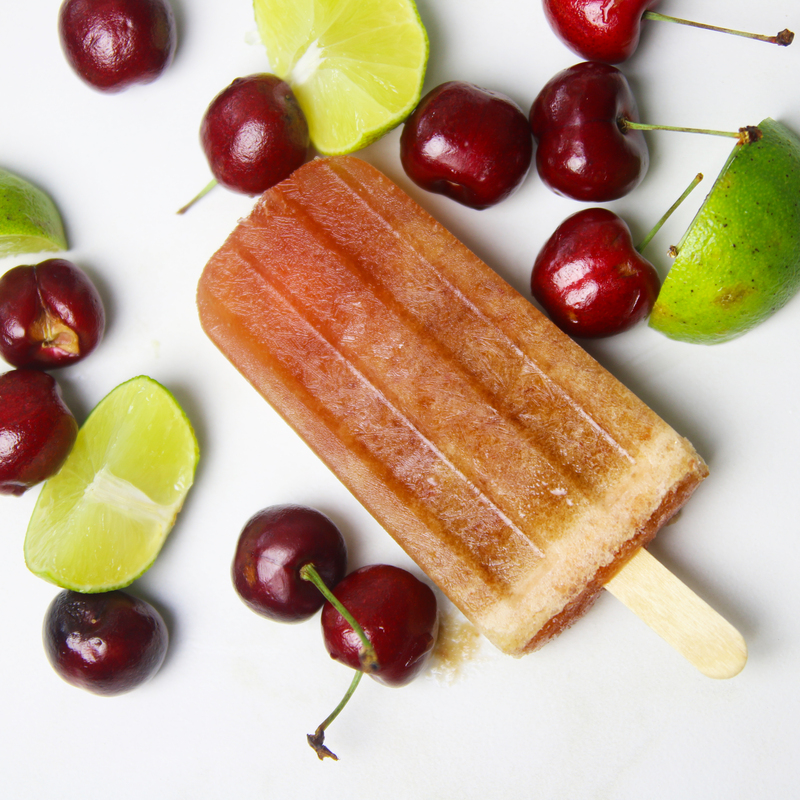 Cherry Limeade Popsicles are sweet, tangy, and tart in every single bite. This requires only 4 ingredients and is so simple to make. This is a great summer recipe for the kids to have fun making as well. Summer is almost here and I wanted to share with you one of my favorite Vegan Popsicle Recipes. 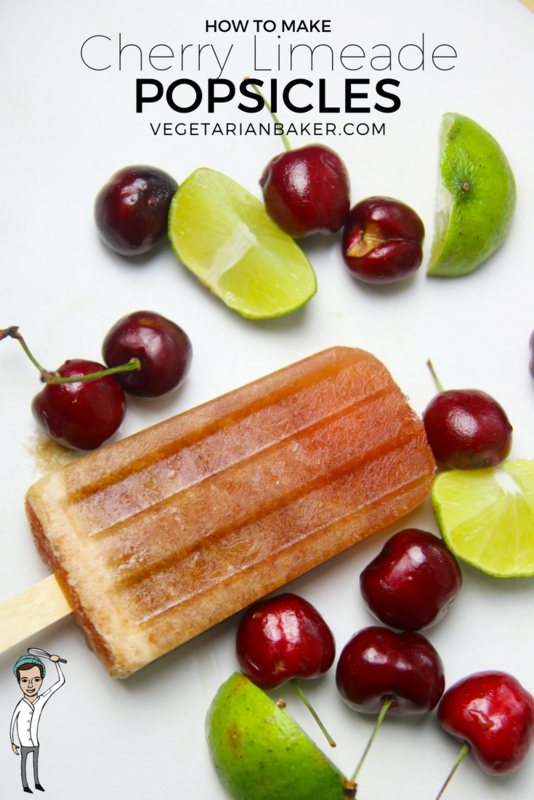 Cherry Limeade Popsicles are sweet, tangy, and tart in every single bite. If you bought cherries with pits, you will need to start with pitting your cherries. I usually use a chopstick or straw to do this, but there are nifty kitchen gadgets you can use as well. Once pitted, place all of your ingredients into a blender. Blend for about 60 seconds. You can strain the liquid if you want, but I like to leave the mixture as is for more flavor. Pour mixture into your popsicle mold. Place into freezer for 1 hour before placing popsicle sticks into this mold. This is to ensure that the sticks don't to the very top of the mold. After an hour, place sticks into your mold. Freeze for 4 more hours or until fully set.